A thief pulled off some whiskey business by stealing a bottle valued at $50,000, the last of its kind in Canada, from a Montreal liquor store Thursday. The bottle of 1962 Balvenie scotch was the most expensive product in the store. Only 88 bottles were ever made. 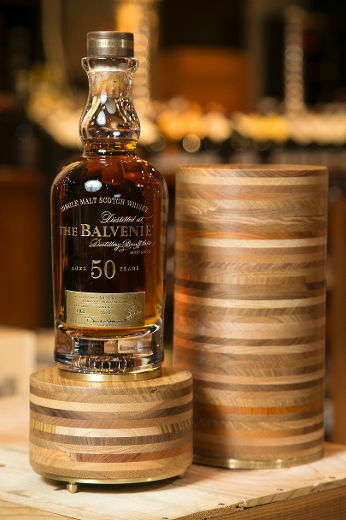 In an interview with QMI Agency’s sister newspaper the Journal de Montreal last March, Christian Marier-Pilon, the director of the store where the bottle was on display, talked about the Balvenie’s uniqueness. “Only 50 bottles exist in the world,” said Marier-Pilon. According to the company’s website, it is an “exceptional single malt” produced in a barrel of European sherry oak. It’s sold in a brown blown-glass bottle in a box made by a Scottish artisan made from the wood of seven trees from the land on which the Balvenie distillery sits. The thief showed up at the government-run liquor store at about 10:25 a.m. on Thursday, “possibly armed with a handgun,” according to a Montreal police spokesman.